You probably have your house cleaning schedule down pat, but chances are there are areas and objects that aren’t getting enough attention. With all the things that do need cleaning in our homes and lives, it’s no surprise that a few things here and there get overlooked. But it might still surprise you that some of these 18 things should be cleaned more often than most do! And what about those few things you could probably leave off the weekly cleaning schedule for a bit? Read on to find out which items you might be forgetting in your cleaning schedule, as well as how often you should really be cleaning them and tips for how to do so. If you think about how much you touch your phone, it should come as no surprise that it can contain more bacteria than a toilet seat! To clean it, lightly spritz a microfiber cloth with rubbing alcohol and wipe all over. You should also remove the case once a week for more thorough clean, removing any gunk that might be trapped underneath. This post has all the phone cleaning details. 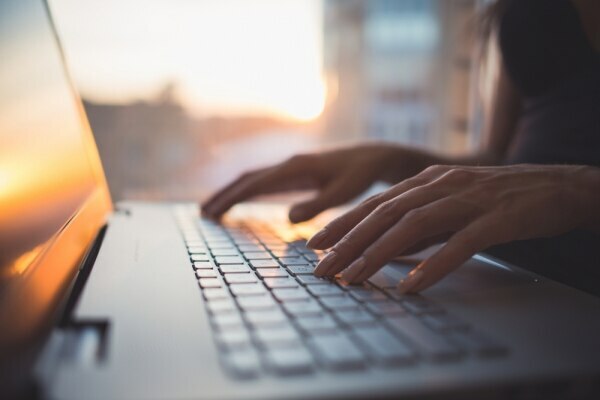 If you use your computer on a daily basis, that’s how often you should be cleaning your keyboard. Like your cellphone, it’s getting germ transfer from your fingertips throughout the day. Also like your phone, you can clean it with a microfiber cloth and rubbing alcohol. 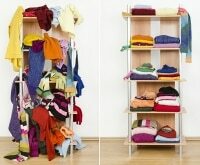 For tips on how to do an even more thorough clean, check out this article. Most people know to wash their bedsheets once a week, but don’t forget about your pillows and comforter. 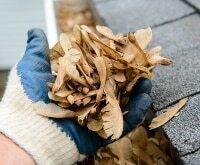 These items soak up sweat and oil over time, and should be cleaned at least twice a year. Machine wash your bedding on a gentle cycle and throw tennis balls into the dryer to keep them fluffy, or have them professionally dry cleaned. No matter how often you wash your hands, germs are bound to accumulate on doorknobs, handles, and light switches. Especially if you have kids! These should be wiped down weekly with an all-purpose cleaner, disinfecting wipe, or water and vinegar solution. All that channel surfing makes for a whole lot of germ transfer. Don’t use disinfecting wipes on your remote since they can cause the buttons to deteriorate over time. 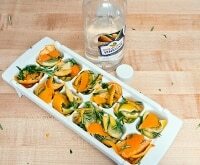 Instead, dish liquid, water, and white vinegar will do the trick. For a detailed tutorial on how to keep your remote clean, check out this article. Most of us do a weekly load, but if they’re getting daily use, bath towels should be cleaned every three uses. 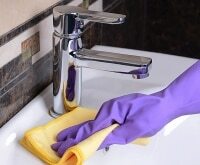 Hand towels should be washed daily (or every other day) since they get more frequent use and are soaking up leftover germs from just-washed hands. Washing towels with vinegar will help prevent mildew and keep them fluffy. If your bathroom gets frequent use (as in, you shower daily), your bathmat or rug needs to be washed weekly. Bath mats don’t fully dry between uses since they’re up against the floor in a damp space, creating an ideal environment for mold and bacteria to grow. Though you obviously don’t need to worry about your trash can being sanitary, letting those spills and stains go untouched could result in nasty odors. Give the can a quick wipe down every time you take out the trash and it won’t be a big job. 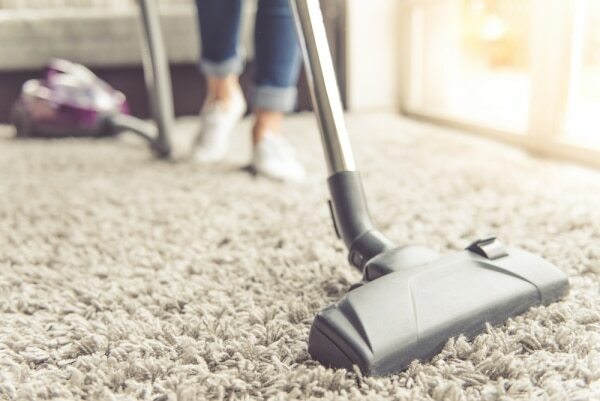 Chances are you’re not vacuuming your living room enough. Here’s a helpful rule of thumb: vacuum the number of times per week as there are inhabitants in a space. So, a bedroom with one person only needs to be vacuumed once a week, but high-traffic areas like living rooms should be vacuumed daily. This will improve the appearance of your rug or carpet, and keep dust and allergens at bay. The dishwasher might be where dishes go to get clean, but it still needs a good clean of its own. Over time, food debris and soap scum will accumulate, resulting in a germy environment and less effective appliance. Start by cleaning out the dishwasher drain, then place a cup of white vinegar in the upper rack of an empty dishwasher and run on a hot cycle. Follow this with a sprinkle of baking soda across the bottom of the dishwasher and another hot water cycle. 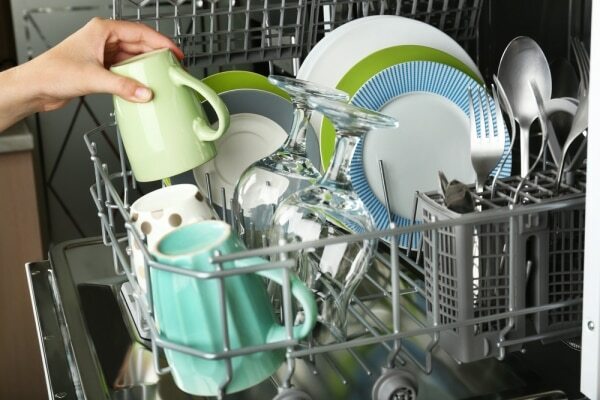 For further dishwasher cleaning details, click here. 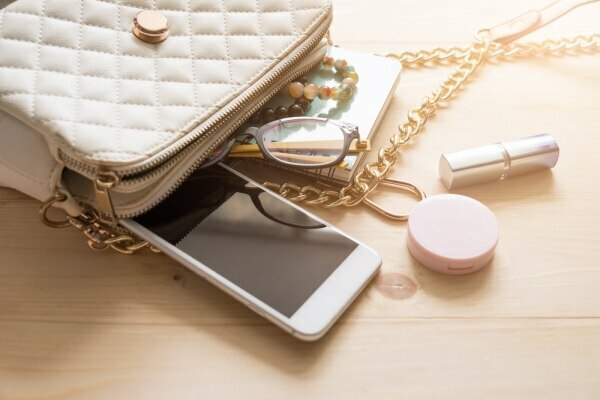 Purses carry traces of all kinds of germs — think of how often they get handled and placed on various unclean surfaces and floors! Cleaning out your bag will help eliminate germs and make things easier to find. You can clean vinyl bags with a disinfecting wipe, or use an alcohol-free baby wipe on a leather hand bag. Cotton bags can be washed in hot water and air dried. The kitchen sink has one of the highest concentrations of microorganisms in the house. 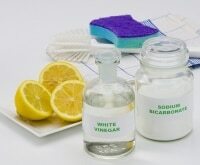 Clean it daily using an all-purpose cleaner or a mixture of baking soda, vinegar, and hand soap, as described here. You should also run the strainer basket through the dishwasher weekly. A moist environment is ideal for growing mold and mildew, so you should keep your shower as dry as possible with daily maintenance. After each use, squeegee the water off walls, then dry these areas with a towel. Always use a vent fan and leave the shower curtain or door open so humidity can disperse. Do a more thorough clean once a week by wiping down the walls, floor, and door with an eraser sponge that doesn’t contain harsh chemicals. You should also clean grout using a soft scrub brush and a mixture of water and vinegar. If you allow dust or dirt to build up on your car’s exterior, it could damage the paint — and it doesn’t look so good! You can take it to the car wash, or clean it yourself using a quality car shampoo (don’t use a household detergent since these can remove the car’s wax protection). As for your car’s interior, you should wipe away surface dust and remove trash regularly, but give it a thorough clean once a month. Start by vacuuming the car’s interior using a handheld vacuum. Use a carpet cleaner on fabric upholstery, or a soft brush and leather cleaner on leather seats. Check out more car cleaning tips here. Be honest — have you ever cleaned your mattress? Since it’s home to everything from dead skin cells to dust mites, it deserves a good cleanse every six months. Vacuum, spot clean, deodorize, and give it some fresh air by following these steps. Once a week, wipe away any obvious spills or sticky spots in the fridge, checking for old produce as well. Wipe down the refrigerator door and handles with a warm cloth and detergent or disinfecting wipe. Once a month, empty out each shelf, tossing anything that’s expired or is past its prime. 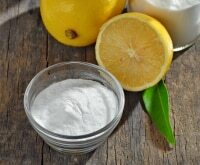 Wipe down the shelves using a baking soda and water solution as described here. 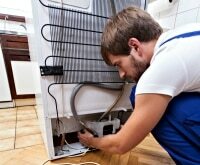 Dirty washers and dryers are both unsanitary and a dangerous cause of household fires. To clean, set your washer on the hottest and longest cycle with 2 cups of vinegar and 1/4 cup of baking soda. Once the cycle is complete, scrub the inside of the washer with water and a scrub sponge. To clean your dryer, you’ll need to empty out the lint trap and dryer duct. Get more details here. Using a dirty sponge means you’re simply spreading germs around, rather than actually cleaning. Clean sponges daily in hot, soapy water, then microwave them while damp for two minutes. Alternatively, you can run them through the top rack of the dishwasher. Even with daily cleaning, you should replace your sponge every week. There’s a range of options out there on how often to wash jeans, but the overall consensus is less is more. Washing changes the color and fit of jeans, slowly stretching the fabric over time. The most they should be washed is every four to five wears, but some argue that they only need to be washed when they start to smell bad or appear dirty- which could be as little as every 2-6 months! Either wash jeans by hand or follow these steps when washing them in the machine. Washing your hair actually strips it of beneficial oils, so while it might be tempting to suds up daily, you should wash only every other day. You could even stretch it to once a week if your hair doesn’t become visibly oily or smelly (like in the winter or if you don’t exercise/sweat often). As long as you don’t perspire excessively, it’s fine to re-wear your bra a few times before cleaning. This will help extend their lifespan, since washing bras stretches them out so they provide less support. To wash, hook the backs of your bras and place in a lingerie bag. Wash on a delicate cycle with gentle detergent, reshape the cups with your hands when done, and always hang to dry. Many people auto-clean their ovens monthly, when in fact this only needs to be done 2-3 times a year. You should, however, clean out scraps of food continuously and give your oven a weekly wipe-down. 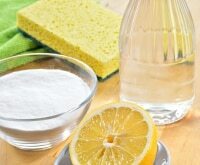 Always avoid using harsh commercial cleaners in the space where you prepare food — try this baking soda alternative instead. While it’s true that kids’ bath toys accumulate mildew and mold over time, a daily clean just isn’t necessary. Simply squeeze out excess liquid after each use, and once a month soak them in a bucket full of one gallon of water and half a cup of vinegar. 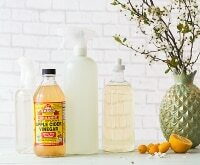 This is a cleaning article is the best information. ours is very helpful, thanks for sharing the best information. How to start the kitchen any this your website.